I always love the pre-Coachella lookbooks and how they spark the onset of Festival-Mania! No-one does it better than Planet Blue. 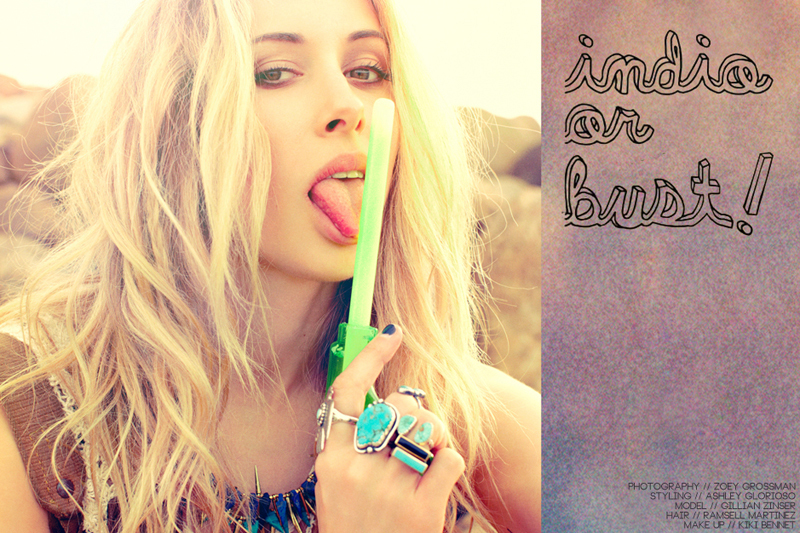 This year they teamed up with Foam Mag, model Gillian Zinser, smok’n styler/photographer duo Ashley Glorioso & Zoe Grossman to shoot this little beauty. You can check out heaps of awesome behind the scenes shots on their blog, or shop the look on here. Can I have everything from this shoot, jewelry , clothes and all? I also spotted the Alushia-Sanchia jewels right away!Those stunning pieces make the photo complete. I also see Rejoice the Hands in there (the blue necklace paired with the Alushia perfume bottle)! She makes amazing pieces as well! How great is this shoot!! Another thing I spotted right away was the models silver palms which I though was a really great (yet unexpected) touch. Love how they played off the iridescent colors of the bubbles! 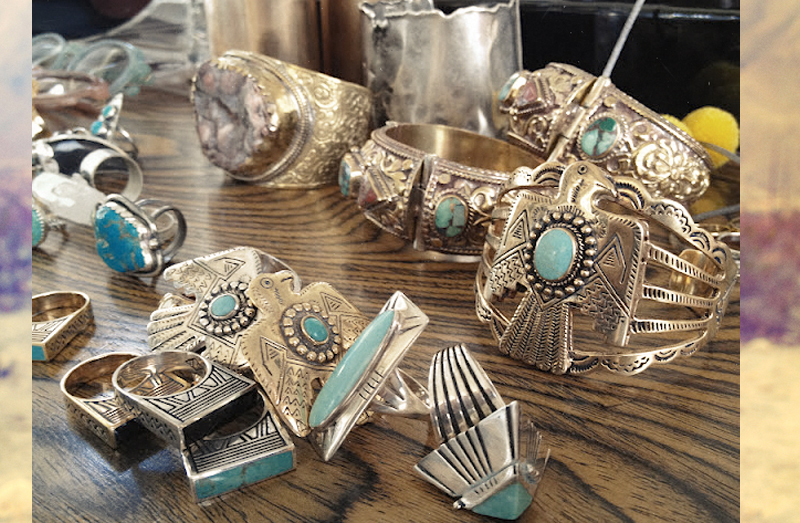 Goes perfect with turquoise jewelry… really amazing. i've got full on festival fever! im ready for coachella, im registered for the burning man lottery, im going to secret garden party if burning man doesnt happen, and im going to try to sneak in bonnaroo too if work permits!! gillian could not be more perfect. i'm obsessed and the styling is unbelievable!! I love these photos!! 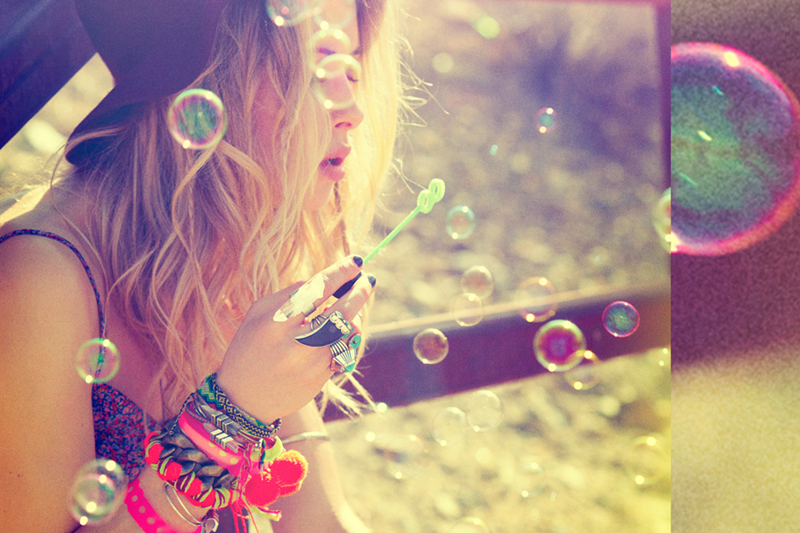 i just love you blog and style. Beautiful !! I love your shop and the pictures! May I use your pictures on my blog if I write its yours? I love this lookbook – even though I won't be able to go to Coachella it makes me think of the road trip in Arizona I'm about to do next week!! Also I'm obsessed with the jewelry! I love that black killa ring, sadly my budget is smaller than my lust.